This week’s review was slightly challenging for me. 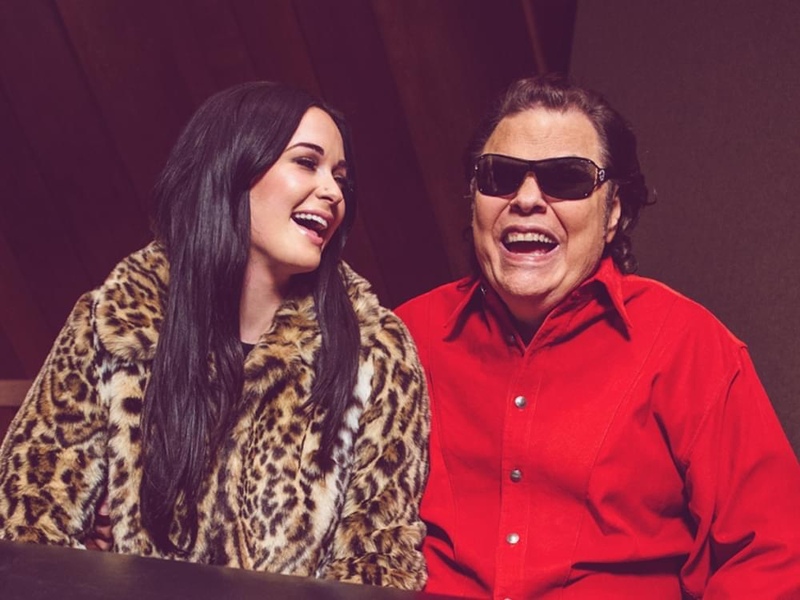 I’ve loved Ronnie Milsap for a long time and was incredibly excited that he’d released a duets album earlier this month, however, I was doubting whether or not I should review it. I didn’t really know any of the artists he’d paired up with outside of the country music genre, and I’m more of a casual Milsap fan than a diehard one. Was I equip to do this? Was I stepping too far out of my jurisdiction? After a couple of thorough playthroughs, and half a dozen casual ones, I’d quickly changed my mind. Of course I’m equipped to cover this, it’s country music, ain’t it? 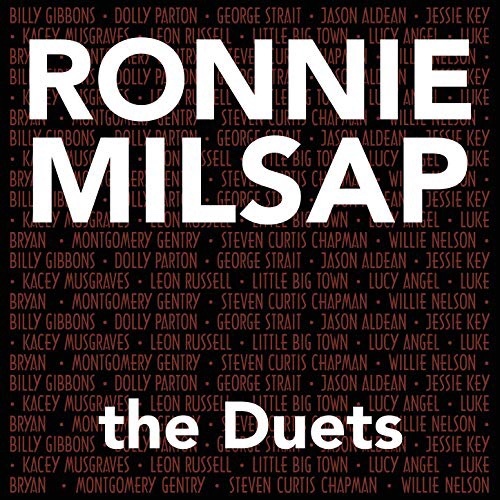 Recorded at Ronnie’s Place, Milsap’s Nashville studio, and co-produced alongside longtime collaborator Rob Galbraith, Ronnie Milsap: The Duets was released just a couple days before Milsap’s 76th birthday coinciding with his 76 for 76 tour which was announced late last year. Just in case you’ve forgotten, the Country Music Hall of Famer and longtime Grand Ole Opry Member has 40 #1 records and six, count ‘em, six Grammys. Ronnie Milsap sure managed to capture just how colourful his career has been with this cast of duet partners. 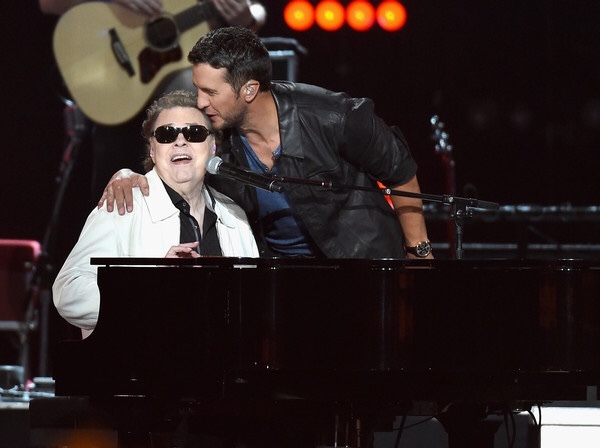 Ronnie Milsap: The Duets features artists such as ZZ Top’s gritty frontman, Billy Gibbons (“Southern Boys and Detroit Wheels”), Dolly Parton (“Smokey Mountain Rain”), Willie Nelson (“A Woman’s Love”), George Strait (“Houston Solution”), Little Big Town (“Lost in the Fifties Tonight), Contemporary Christian singer/songwriter Steven Curtis Chapman (“You’re Nobody”), and Kacey Musgraves (“No Getting Over Me”), among others. 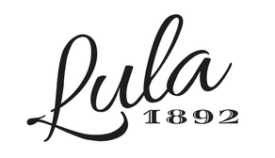 I also find it very admirable that newcomers Lucy Angel (a trio consisting of two sisters and their mother, “Happy Happy Birthday baby”), and Jessie Key (“What a Woman Can Mean to a Man”) were also collaborators on the record. It’s always so heartwarming when the legends pull the newbies under their wing. Above everything else, I think it’s important to note that this album contains Leon Russell’s final recording before his passing in 2016 with “Misery Loves Company,” along with one of Troy Gentry’s last recordings as well with the final cut on the album being an incredibly lively cover of “Shakey Ground” by Montgomery Gentry. With both artists passing in 2016, it’s easy to see just how long this project had been in the works. We also have Milsap singing alongside two country legends that can do no wrong in the eyes of many, including myself. Dolly Parton and Willie Nelson. Dolly Parton’s rendition of “Smoky Mountain Rain” is stunningly heartbreaking with the change of pronoun making her the woman left behind. Willie Nelson also included another version of “A Woman’s Love” on his God’s Problem Child album. There are just two artists I have yet to mention, and with good reason. Most of the time I go out of my way not to listen to both Luke Bryan and Jason Aldean, as neither fits into my personal scope of country music. That being said, both gentleman have done a pretty decent job with a Ronnie Milsap song. Aldean, over Bryan, tends not to get enough credit as a musician from me. However, I do have to give him some kudos for his tributes and duets with the legends. His version of “Going Where the Lonely Go” on the Working Man’s Poet: A Tribute To Merle Haggard is honestly phenomenal, as is the “Can’t Break It To My Heart” duet with Tracy Lawrence on Lawrence’s 2017 Good Ole Days album. Aldean sure does make a good country singer—when he sings country. They both do. Saving the best for last, can we talk about Kacey Musgraves for a minute or two? Now, while it seems that the rest of the industry absolutely adored Golden Hour, it just wasn’t my cup of tea, so I’ve been holding onto releases like “No Getting Over Me” to tide me over to her next record. This has been the second collaboration album where she has made me love a track I hadn’t necessarily loved before. Until hearing Musgraves’ and Milsap’s duet I hadn’t even heard the song before, and now it’s one of my favourites. The other collaboration album I’m speaking of is King of the Road: A Tribute to Roger Miller and the track in question is “Kansas City Star,” and like “No Getting Over Me,” I’d never heard it until she’d recorded it, and again, it’s become another favourite by both Musgraves and Miller. She’s timeless, that girl. 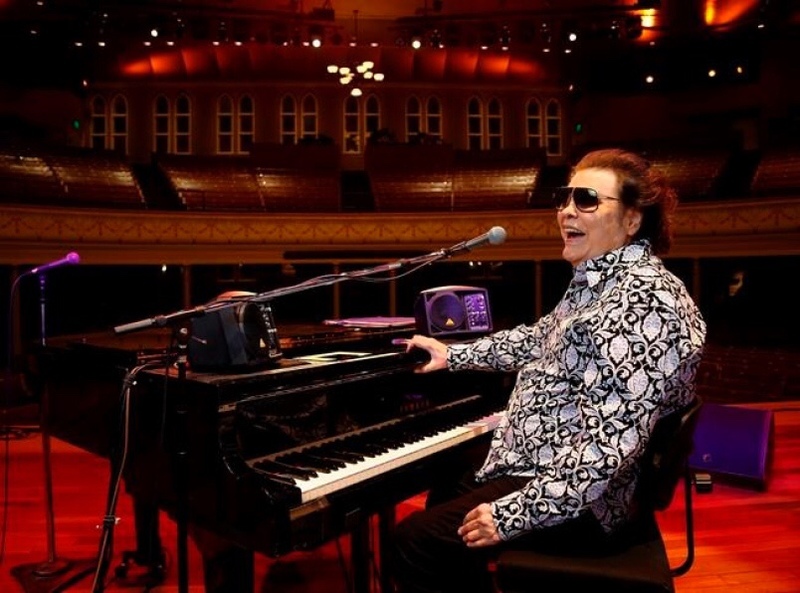 Ronnie Milsap: The Duets is sentimentally smooth and intimate with voices from the past, and voices from the present. The only issue I have with this album is that it didn’t capture some of my favourite Ronnie Milsap hits. Disappointingly, hits like: “She Keeps the Home Fire’s Burning,” “What A Difference You’ve Made in My Life,” “Daydreams About Night Things,” “Pure Love,” and “(I’m A) Stand By My Woman Man” are missing from the record. But, I guess you can’t have everything all at once, can you? Hey, Ronnie, The Duets: Part II?